In 2010, Google’s Eric Schmidt estimated that humanity creates the same amount of information every two days as it did in the entirety of recorded history up until 2003. This is astounding. Not that so much that data is being created -- people have always been walking, talking streams of data -- but that it is increasingly possible to capture it all. In the past, there were significant costs associated with compiling and disseminating data, so only those points of obvious utility were valuable enough to be measured and stored. Computers and technological advances have changed everything by making it cheaper to capture all of the digital crumbs that individuals scatter throughout an average day. The underlying assumption that motivates this data collection is that somewhere, hidden in the numbers, is valuable insight. Indeed, data analysis is now even yielding the answers to questions that people didn’t even know how to ask. Wine producers are not immune to the allure of data. And it goes beyond assessing the contents of a wine bottle. DNA analysis of both vines and yeast, soil assays, drone monitoring and water usage analysis are being employed in vineyards around the world. With data analysis and computer modeling, it is becoming possible to identify and dial-in particular attributes designed to get a high score in wine publications. It is telling that marketing materials of successful wineries rarely focus on this use of data to minimize natural variation. Instead, wineries talk of tradition, terroir and weather that coax a mysterious balance out of their fruit. If technology really does improve wine quality -- and it often can -- why not highlight this investment? It is because wine embodies a perennial challenge to work with nature and express what that location provided in that year. It is only with nature’s uncertainty that wine can offer a reflection of its environment. There are many in the wine community who, regardless of their use of technology, also maintain a philosophical partnership with nature. 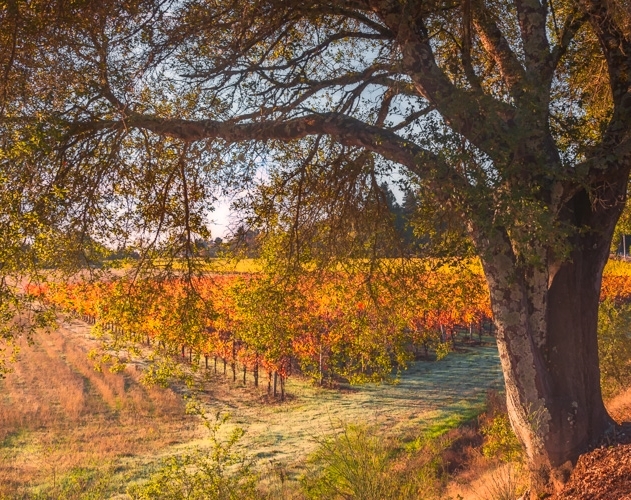 Organic and biodynamic producers, and the vaguely categorized “natural” winemakers can be quite opinionated about what practices should and should not be allowed. But, perhaps no one has gone so far to create wines with their own personalities as Randall Graham of Bonny Doon Vineyards. In San Juan Bautista, California, Graham has planted a vineyard from grape seeds! This may not seem revolutionary, but for millennia, vineyards have been propagated by cloning of existing grapes. The clones were selected to minimize disease, increase desirable flavor traits and generally make the winemaking process easier. Planting from seeds assures genetic diversity, but tosses predictability out of the window. To be sure, this project will be studied in detail, resulting in mountains of data. But, when technology seemingly makes it possible to obtain answers to questions that haven’t even been posed, it is inspiring to see someone take such a risk because of the value inherent to the search. While the wines resulting from this experimental vineyard aren’t available yet, Bonny Doon currently makes other great, underappreciated, and relatively reasonable wines. Le Cigare Volante is a red Rhone blend (Grenache, Syrah and Mourvedre) worth seeking out, and the Bien Nacido Syrah is one of the more traditional Syrahs from California. In fact, every Bonny Doon wine is expressive in its own unique way; it’s tough to go wrong.